On the 6th floor, the 3-star Hotel Le Grand Tétras in Font-Romeu offers a relaxing break with a panoramic view over the French and Spanish Pyrenees. In a zen atmosphere, the Well-being space offers a soothing setting which is perfect after a day on the slopes or a day of visits. The sundeck is equipped with sun loungers and a jacuzzi. Unique moments of escapism and relaxation which you will be able to enjoy to your heart's content. 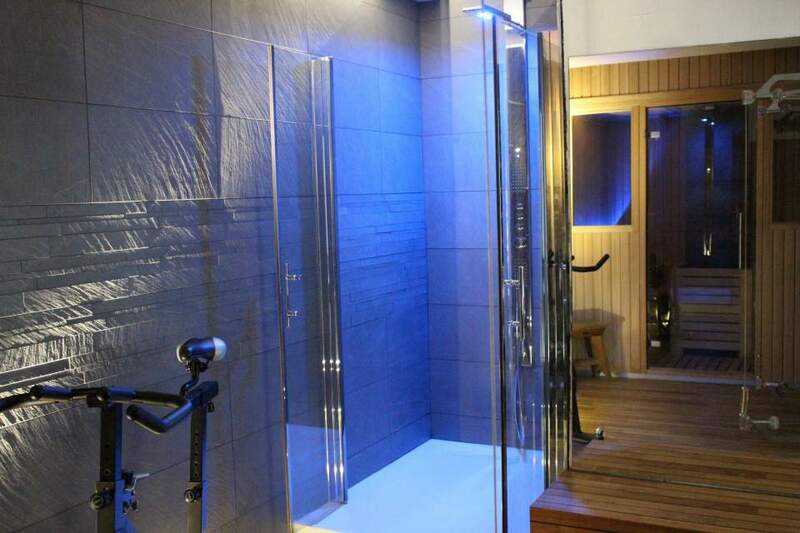 This completely renovated space also offers a freely accessible luminotherapy massage shower. 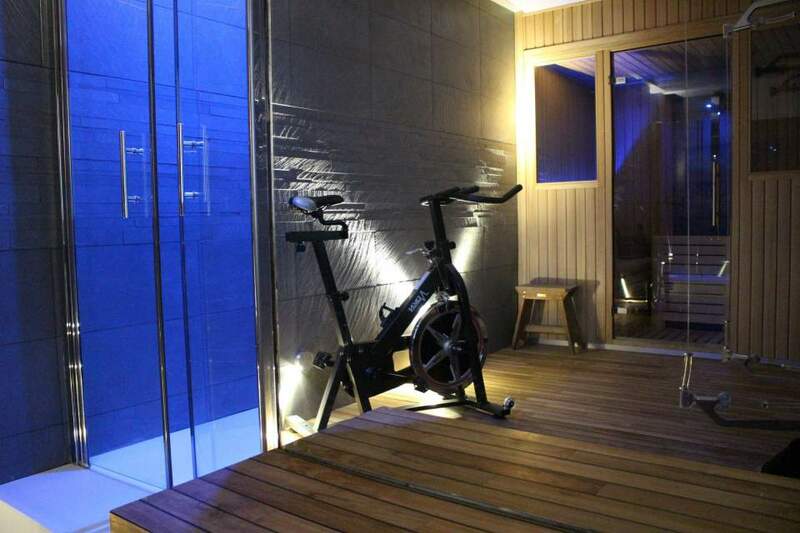 The Hotel Le Grand Tétras offers you a space dedicated to your fitness. A gym is at your entire disposal. It includes a step machine, an exercise bike and weight bench. The devices have been designed to increase results during training and the movements are complementary. Access to the gym is free of charge. Exclusive in the Pyrenees, the 3-star Hotel Le Grand Tétras offers the Medyjet massage bed. In our Well-being space, this bed offers a water mattress at a temperature of 35°C and powerful jets for a deep massage. Several programmes are available for a massage adapted to all and to each part of the body. To help athletes recuperate, we also have a cryotherapy basin (cold water at a temperature of 11°C) available by appointment (excluding winter). After lazing on the sun loungers on the 6th floor, you will be able to recharge your batteries in the Hotel Le Grand Tétras's indoor heated pool. Large bay windows line the pool allowing you to admire the mountain views. Take advantage of your stay to treat yourself to a moment of relaxation and relish the heat in our sauna. A well-being spring, it is recommended for eliminating stress. The space is open from 8 am to 8 pm and the sauna is open from 8 am to 6 pm. Access is reserved for guests.